When starting out in jewellery making, it can be hard to know about different kind of gemstone cuts, techniques and all the lingo that goes with it! In this post, we start simply by explaining the difference between cabochon, faceted stones and faceted top cabochons. For more information, read our jewellery making advice pages for more tips, techniques and tutorials or take a look at our jewellery making projects aimed at beginners. A gemstone cabochon is a gemstone that has been shaped and polished to be a dome shape on the top and is usually flat on the bottom. Gemstones that are opaque are usually made into cabochons whereas more transparent gemstones are mainly faceted. The hardness of the stone is also taken into consideration - softer stones are more likely to be scratched so they are better in a cabochon form rather than faceted. 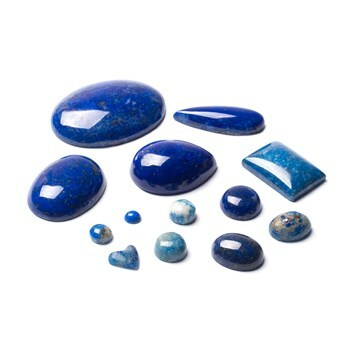 You will also find that cabochons are more likely to have natural inclusions and markings. In faceted form, this would disturb the light and decrease the beauty of the stone. Can cabochons come in different shapes? Yes! Cabochons can come in a whole range of sizes and shapes, which makes them great fun when creating new handmade jewellery designs. At Kernowcraft, we offer a huge range of cabochons in shapes such as round, oval, hearts, marquise, squares, hexagons and more. How do I use cabochons to make jewellery? If you're a jewellery making beginner, we would recommend checking out our jewellery making settings where you'll find ones where you can easily set cabochons. Use pendant settings, ring settings and earring settings to easily create designs with your favourite gemstone cabochons. Each setting is different, however, you usually need either a touch of glue to set the cabochon or a bezel rocker or pusher to set the stone. What is a faceted stone? A faceted stone is a type of gemstone cut where the stone has flat top, polished faces called facets across it and a pointed bottom. This cut refracts the light inside the gem and reflects light on the outside facets of the gemstone, maximising the stone's brilliance and fire. Gemstones that are transparent are usually made into faceted stones to maximise their beauty. Can faceted stones come in different shapes? Yes! Faceted stones are available in many forms. For example, here at Kernowcraft we have a range of faceted gemstones for jewellery making in hearts, ovals, squares, stars, trillions, cushion cuts and more. These come in a range of sizes, giving you lots of choice for your handmade designs. How do I use faceted stones for jewellery making? For beginners, we'd recommend using our jewellery making settings for faceted stones, such as pre-notched settings, snaptite settings, wraptite settings and backset settings. You'll either need to pop the stone into the setting, or use a pusher to push the claws over the stone to set it in place. Read our advice pages for more information. What is a faceted top cabochon? 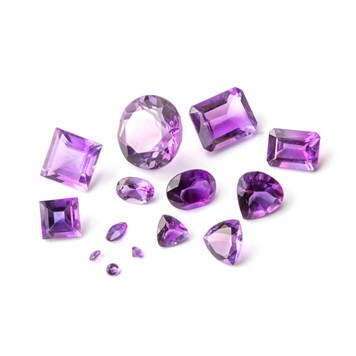 Faceted top cabochons have a flat bottom and a rounded faceted top, which means they have a number of flat surfaces called facets. The main example of this is the rose cut, which gets its name due to how the cut resembled a rosebud. They have triangular facets and come to a point in the middle. Rose cut cabochons are beautiful as they reflect the light and offer a wonderful sparkle but are more subtle than a regular faceted stone due to their flat bottom. 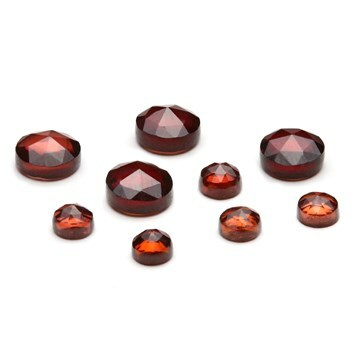 Can faceted top cabochons come in different shapes? Yes! Rose cuts for example, are usually round but can also be oval, pearl, marquise and freeform shapes. At Kernowcraft we have a variety of faceted top cabochons in rose cut, checker cut and gorgeous freeform shapes such as untreated natural turquoise. How do I use faceted top cabochons for jewellery making? We would recommend using bezel cups for cabochons. All you need to do is solder your design and bezel the cup over the stone using a bezel rocker to hold the stone in place. You can also use regular ready-made cabochon settings with faceted top cabochons, depending on the height. If a stone is a free form shape, you will have to make your own setting. For more information, read our advice pages. 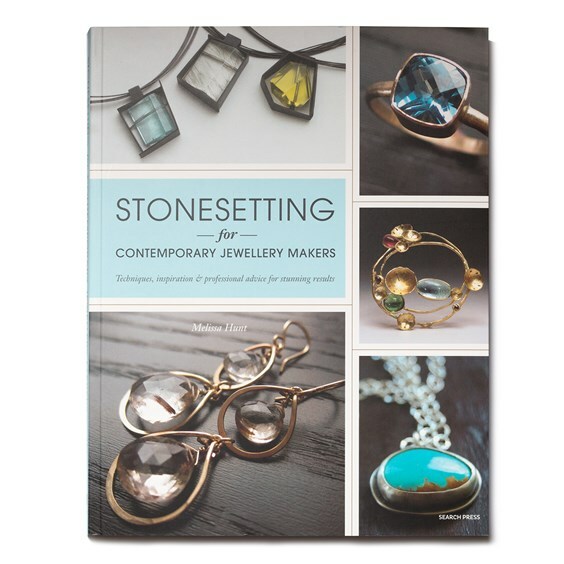 We have a range of books for jewellers, from focusing on beadwork to starting your own jewellery business! 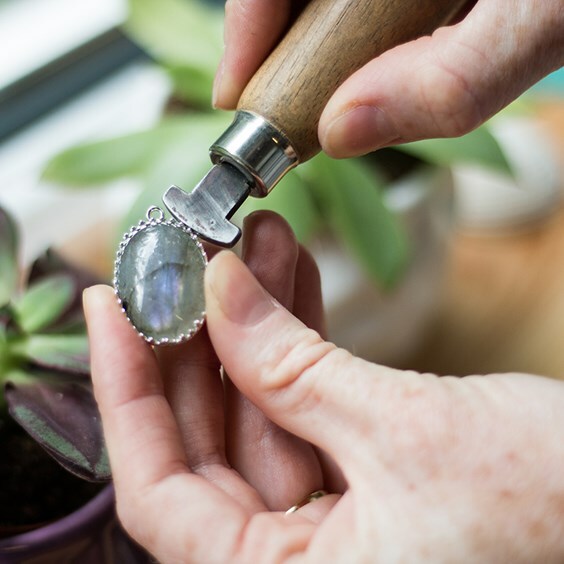 For beginners, Stonesetting For Contemporary Jewellery Makers is a great resource to follow for using ready-made settings or creating your own. Discover our 'Make The Look' section, filled with jewellery making projects aimed at beginners. Each one comes with a handy one-click shopping list too! Our advice section is filled with pages for beginners and experienced jewellers. From wire-wrapping, stone setting to soldering, learn new techniques and be inspired.